The model turned perfumer Annick Goutal, a legend of the scent world, once wrote "perfume is the music of my dream." Perhaps there is no other art that brings us back to a place and time quite like the olfactory art and yet perfume isn't limited to memories alone. It deserves its own top place in the firmament of wearable art. I found out at this year's Pitti Fragranze, a labyrinth of the best the scent world has to offer held inside the atmospheric Stazione Leopolda, that I've been somewhat wrong all these years to pine for long lost loves and far away times when I smell a scent that reminds of an ex or of my childhood. Yes, perfume can and will do that, but it's the scent of imagination and wonder than give it the honors it deserves. As a stand-alone, one of a kind, truly magnificent art form. The person responsible for this newfound mindset when I look at -- better yet, when I smell -- a fragrance, is NY Times "nose" Chandler Burr. Burr is a perfume historian, a journalist who has been the scent critic for the NY Times, and a curator of the olfactory art. Based in NYC, Burr travels all over the world, partly in search of fantastic new scents but mostly to enlighten his fellow human beings on the true art of perfume. In all his kindness, he let me sit in on an interview he was having with a fashion editor on the phone from NYC, while the woman pushed for him to reveal his ideas of the "best new trends" in fragrance. With class and grace, he answered by saying, "I was a perfume journalist at the Times, not a beauty writer. I didn't focus on trends and brands, marketing doesn't play any role for me at all. I've always held a different position from most of the people who deal with perfume." Perhaps meeting Burr, pictured above on the right, was such a revelation to me because he is intent on having the art of making scents recognized as any other art form today, particularly cinema, which he equates most easily with the olfactory art. He explained that, "when I first began at the NY Times what I found most insulting was this idea that perfume cannot be art because it's sold. Cinema is created as an art form and it's not just Avatar or Dumb and Dumber." He continued, "even Her, one of my favorite films of the last year, is made for commercial means. It's meant to be watched, to be seen by as many people as possible." Most groundbreaking, and perhaps going a bit against every idea I had formed about fragrance until meeting him, is Burr's mantra of, "scent as something different from smell." Again he came to my rescue by explaining generously, "smell can invoke memories, like when you step into the Paris metro or off a plane in Bombay, but scent is an art form. And we lack the terminology to speak of it that way, the lack of the right words -- but it doesn't mean it shouldn't be treated as such." Burr's curated exhibit titled "Art Objects: Shape, Color, Scent" featuring works of art ranging from the 1800's to today, coupled with scents as diverse as classic rose and bubblegum was the proverbial ribbon to tie it all together -- this idea that scent is indeed an art form. Albeit one that is so perfectly accessible, turning women into ladies and men into superheroes, with just one spritz. Another idea that really stayed with me after this year's Pitti Fragranze was the concept of perfume impersonating some of our favorite foods, our beloved movie stars, even as a complimentary accessory to fashion and film. No, it wasn't like this funny bout of vandalism Johnny Depp's campaign for Dior suffered on the streets of the UK, and featured in the Tweet below. This was more about reinventing and offering an interpretation that, while completely wearable and pleasant to our olfactory sense, could inspire the wearers to think one step further, with their noses. I know, it's hard to understand but bear with me as I take you with me down the rabbit hole of scent. 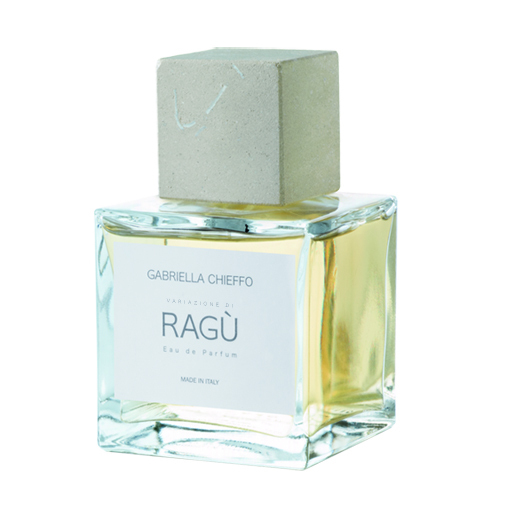 One of the most courageous incarnations of this idea is Gabriella Chieffo's Ragù and Variazione di Ragù, two scents the Italian perfumer calls "olfactory provocations" inspired by that Sunday meat sauce that Italians love so much, the ragù. In a traditional Italian home, particularly in the south, the sauce would be simmering for at least a day, wafting throughout the home and changing as it intensifies. Add to that the token smell of cigarette smoke, the various colognes and perfumes worn by the family members who come in and out before the midday banquet, the wine uncorked, the scent of wood from the furniture, maybe even a little sprinkle of dusty wax and you get the idea of what Ragù -- the perfume -- smells like. It's a powerful concept this idea of reinventing smells we think we are accustomed to and love, to extract from them scents we can proudly wear as our signature perfume. 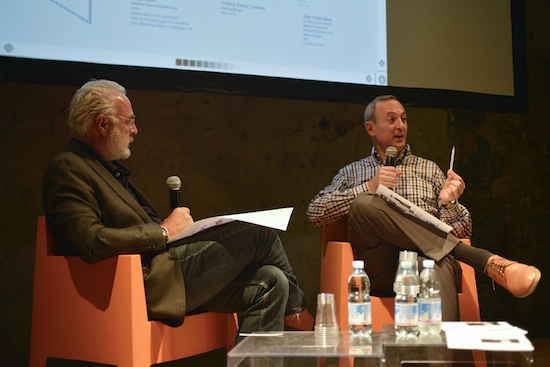 And while on the subject of signature perfumes, Pitti Fragranze, or actually any fragrance show around the world, would not be complete without the presence of the Intertrade Group. 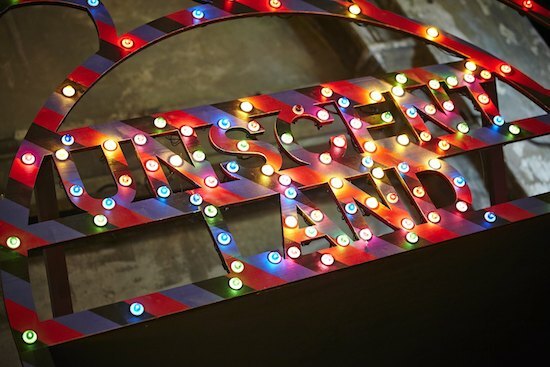 With what seemed like a complete city made up of their brands, they presented a show within a show titled "Unscent Land". The powers that be behind the perfume superpower -- including President and Fragrance Curator Celso Fadelli, VP and Creative Director Cristiano Seganfreddo and Design Director Alessio Avventuroso -- called "Unscent Land" a bit tongue in cheek "an olfactory amusement park" and within it I really felt like a child in a candy store. Surrounded by some of their bestsellers I was introduced to the wonders that are Diane Pernet Paris and Blood Concept, among many many more. Diane Pernet_Mike Figgis_FILMS from Staff Intertrade on Vimeo. Diane Pernet Paris is the olfactory love child of Diane Pernet, the queen of fashion bloggers. To her pioneering spirit, all of us who have ever gone online to talk about fashion and style owe the world. American-born and Paris-based, Pernet has been on the frontline of a movement that has forever changed style journalism. She also runs the A Shaded View of Fashion Film Festival, now in it's eighth year, which will kick off on December 2nd at the Centre Pompidou, and where she annually showcases fashion films like this one featured above, made for her by director Mike Figgis. The lovely duo behind Blood Concept, Antonio Zuddas and Giovanni Castelli are also guys after my own heart. Their fragrances are hip and cool like them and they have a video to show for it. While this strange dance between a man and a woman didn't really do it for me at first, it has really grown on me and now I see it as the explanation of what the multiple layers that make up a fragrance really do. While the first layer may get you interested, like the raw sensuality of this video does, you then need the middle note to draw you in, to really make you an aficionado, a lover. And with the bottom note, a scent's true foundation, you get hooked for life, or until another, better, more enticing fragrance comes along. See, it's just like any romance after all, this love story with scent.... You can watch the film below, or at Pernet's ASVOFF festival in December. The Duel- BLOOD CONCEPT from Staff Intertrade on Vimeo. Photo of Chandler Burr by Vanni Bassetti, all photos and videos used with permission.